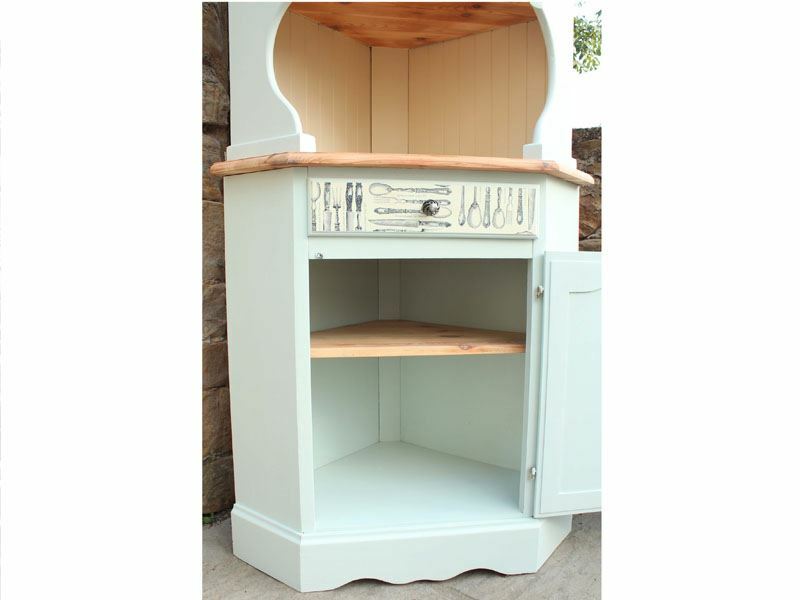 A country style pine corner dresser with single door and drawer to the base. 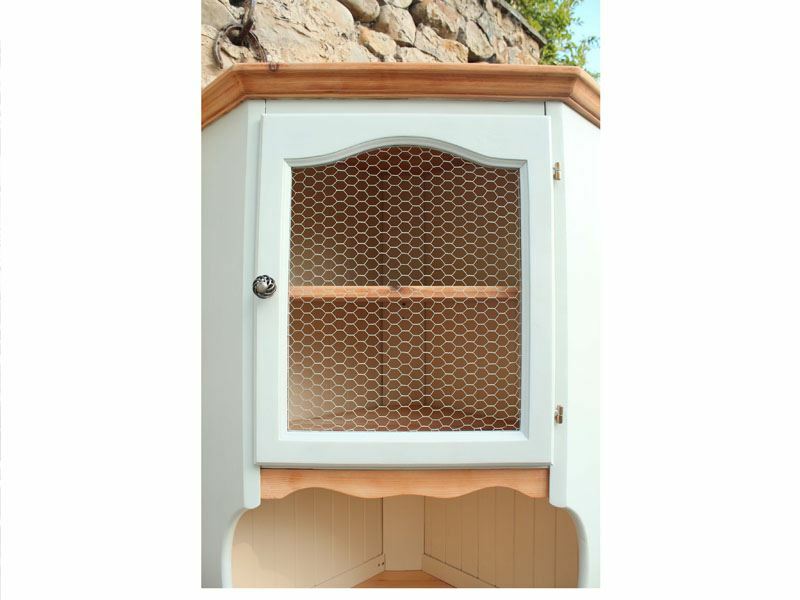 The top has a single door with chicken mesh. 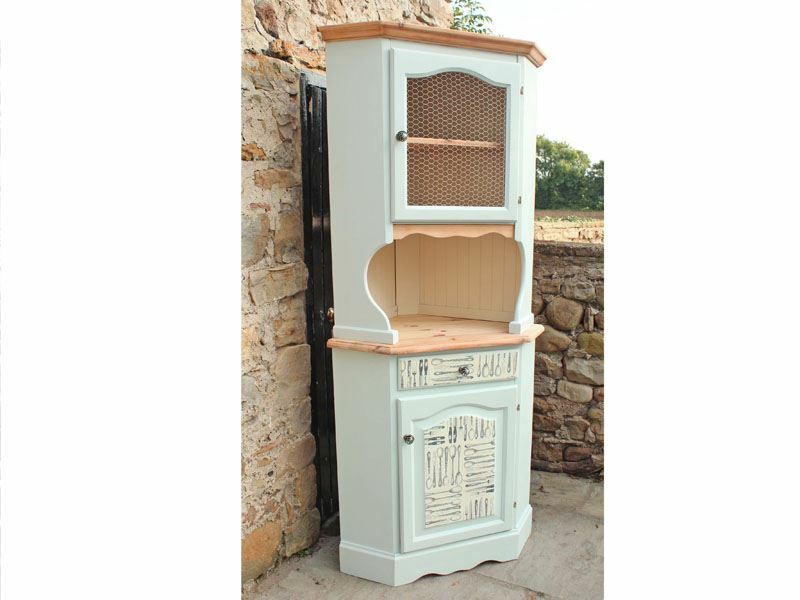 We painted this in Laura Ashley Pale Duck Egg contrasted with Laura Ashley Pale Linen . 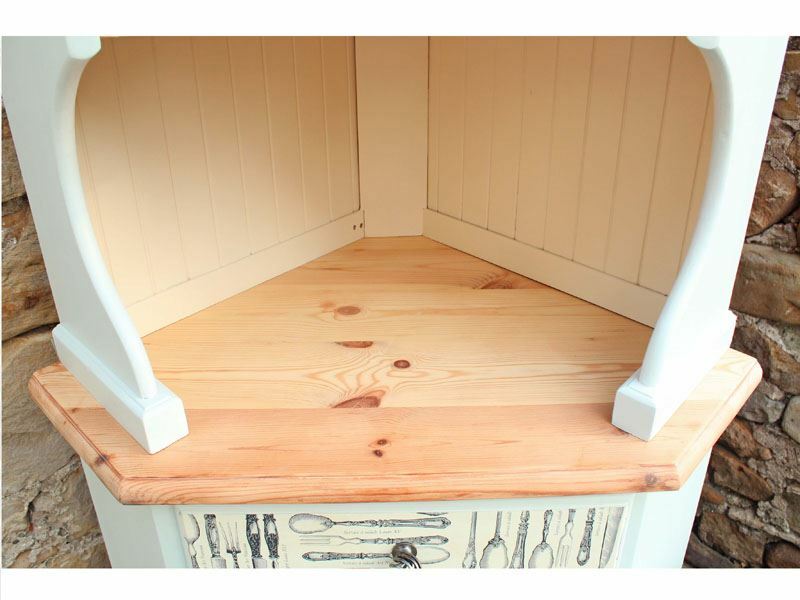 The dresser top ,worktop and shelves have been stripped of old varnish and then polished using natural wax. 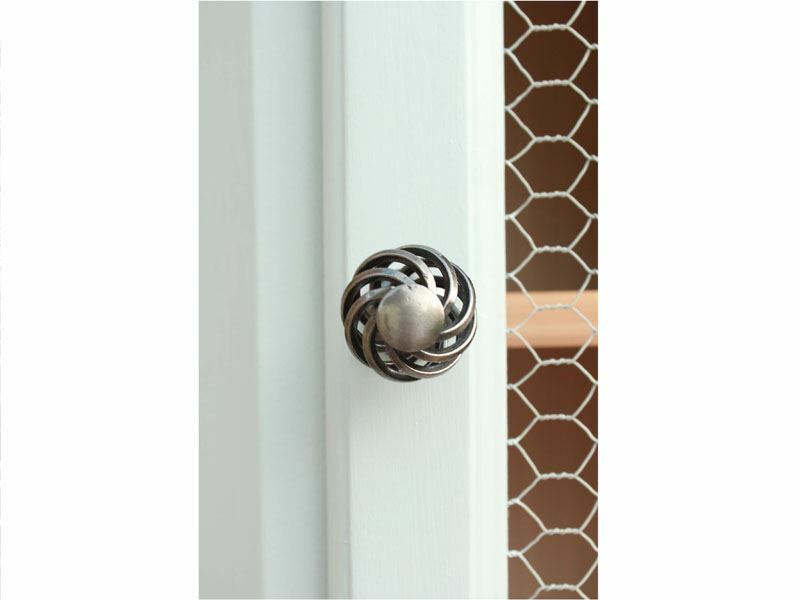 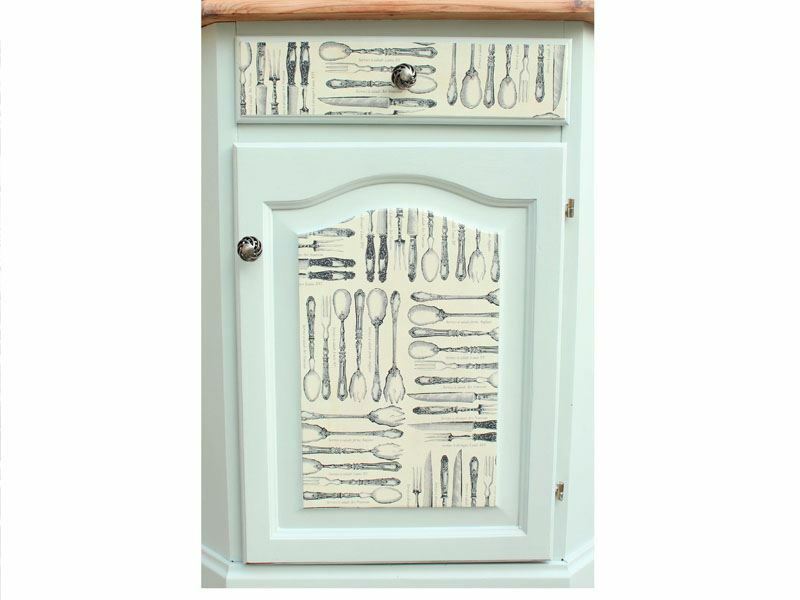 We have added some pewter bird cage knobs and papered the door and drawer fronts in Silverware paper, which has been matt sealed. 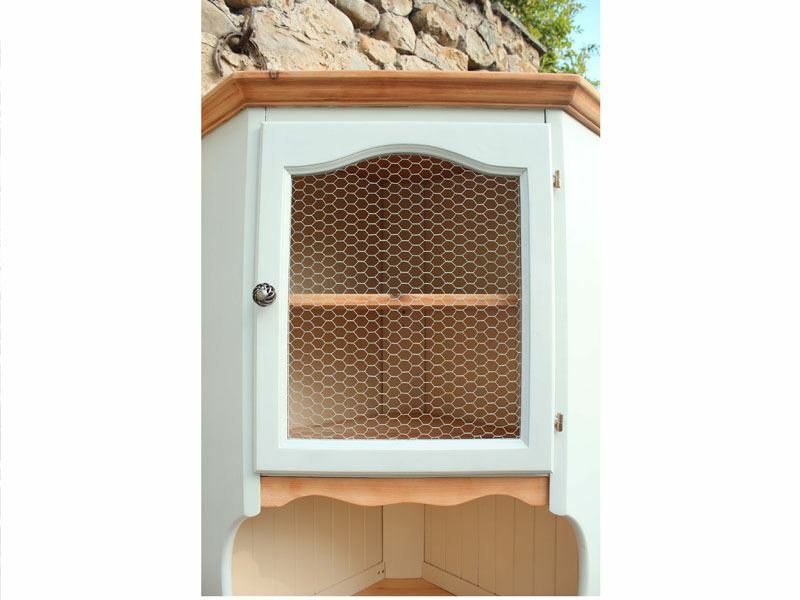 To complete the transformation we replaced the glass with cream chicken mesh. 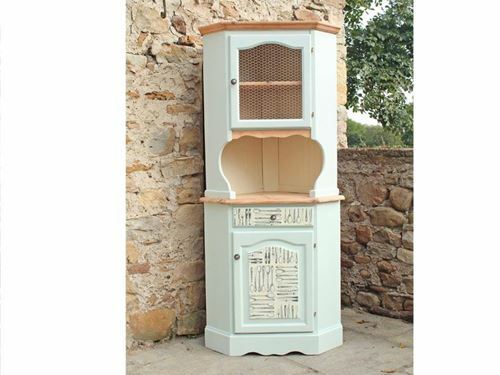 It would make a very attractive and stylish addition to any dining room or French-style kitchen.